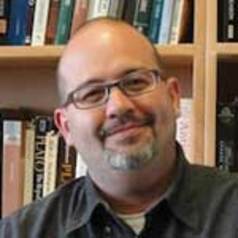 Charles R. Venator-Santiago, (Ph.D., Political Science, UMass-Amherst) is an associate professor with a joint appointment to the Department of Political Science and El Instituto, University of Connecticut. He is a past President of the Puerto Rican Studies Association (PRSA)(2012-2014). He is the current Faculty Director for the University of Connecticut's Washington, D.C. Honors Congressional Internship Program. His most recent publications on the subject can be found in Puerto Rico and the Origins of US Global Empire: The Disembodied Shade (Routledge 2015) and Hostages of Empire: A Short History of Extension of U.S. Citizenship to Puerto Rico, 1898-Present (Amazon 2018). Professor Venator-Santiago teaches courses in the Public Law, American Politics and Political Theory. His courses focus on U.S. Law and Society, Latinx politics, law and immigration, and various debates in the history of political thought. He has been researching and writing about U.S. territorial legal history, race and citizenship; and the relationship between law and nation-state building in the Americas.